South of the Cours Mirabeau is a unique district that also exudes atmosphere but of a different kind than found on Aix's main boulevard. 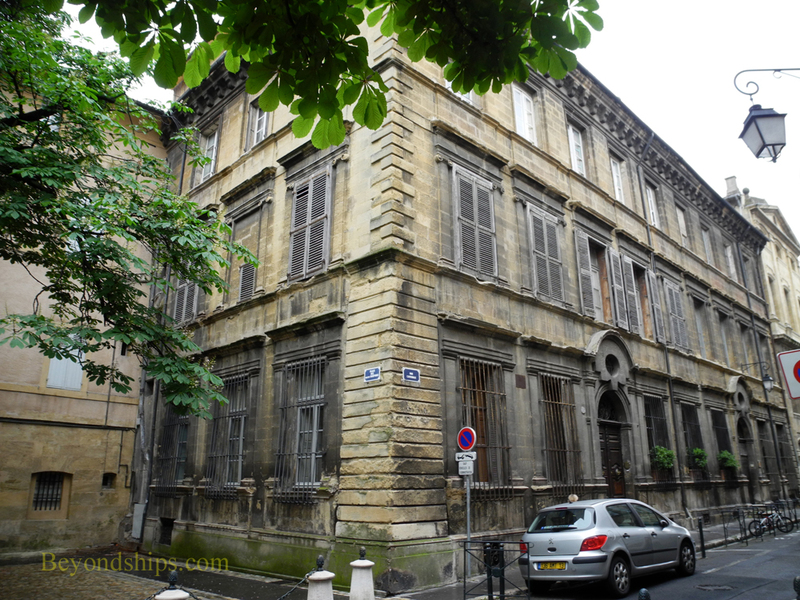 The Mazrin Quarter ( Quartier Mazarin) came about when King Louis XIV granted Michael Mazarin, Archbishop of Aix, permission to extend the city's limits to include the meadows south of the existing ramparts. Michael had in mind creating a new neighborhood, not for the common people but for the rich and famous. Since most of this area was owned by the Archbishopric of Aix, who the beneficiary of such a lucrative project was was not lost on the people of the day. But Micheal’s brother Jules was a Cardinal and the king's chief minister so the project went ahead. Laid out in a grid pattern, the Mazarin Quarter is easy to navigate. Strolling the streets, what is truly remarkable is that so many of the original mansions have been preserved. Most have found other uses but the beautiful architecture remains. It also remains a quite, tranquil area. 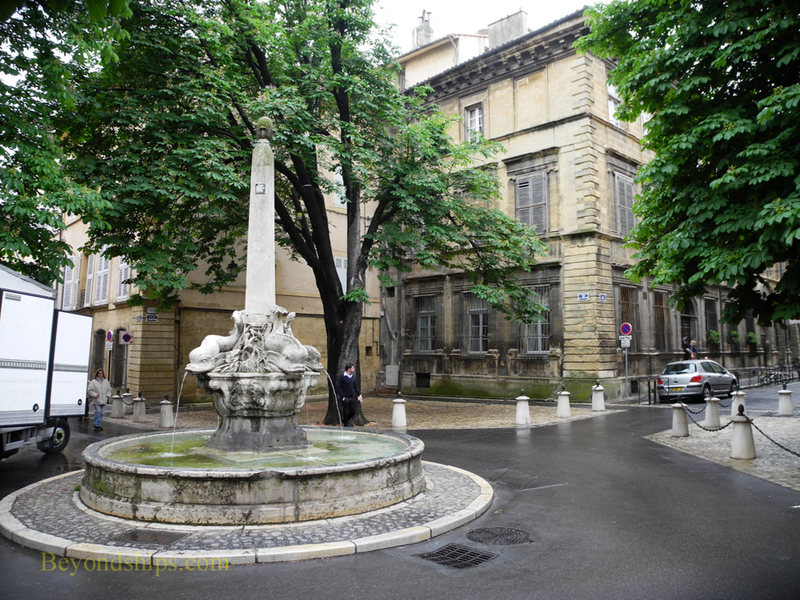 Some of the landmarks of the Mazarin Quarter include the Fountain of Four Dolphins and the Church of St. Jean of Malta. It also includes some of the city's best art museums. The Granet Museum housed in the former Palace of Malta has a collection of 600 works including works by Rembrandt, Cezanne, Picasso, Rubens and Ingres. The Caumet Centre'd Art is a former mansion with exhibit spaces for temporary exhibitions and a large garden. However, the less famous mansions and the narrow streets are what really create the atmosphere. 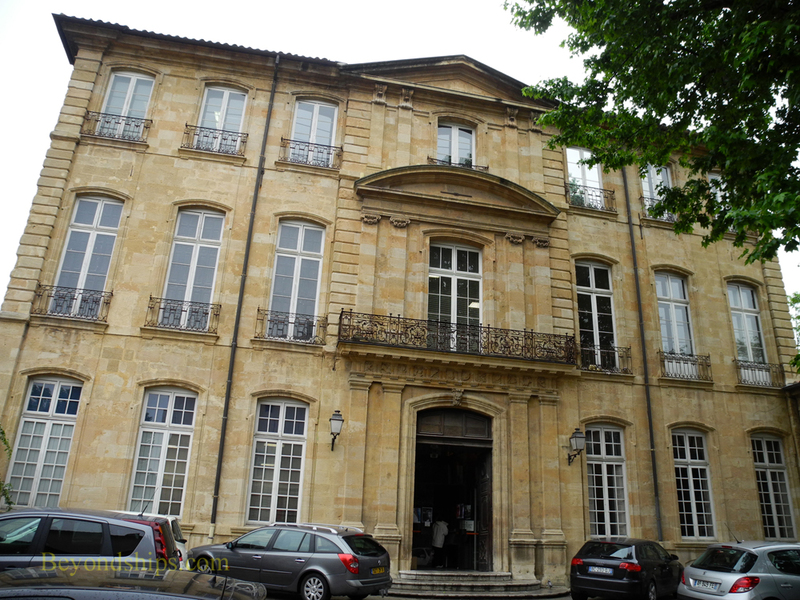 Right: The Lycee Miguet where Paul Cezzane and Emile Zola studied. 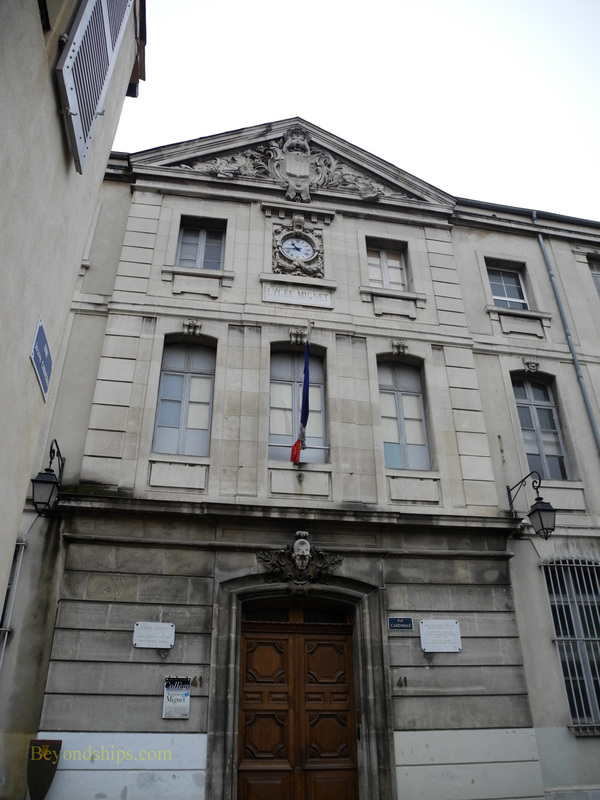 ​Below: Hotel de Gastaud et Hotel Ravel d'Esclapon. ​(Cruise ship profiles, pictorials, reviews and interviews).